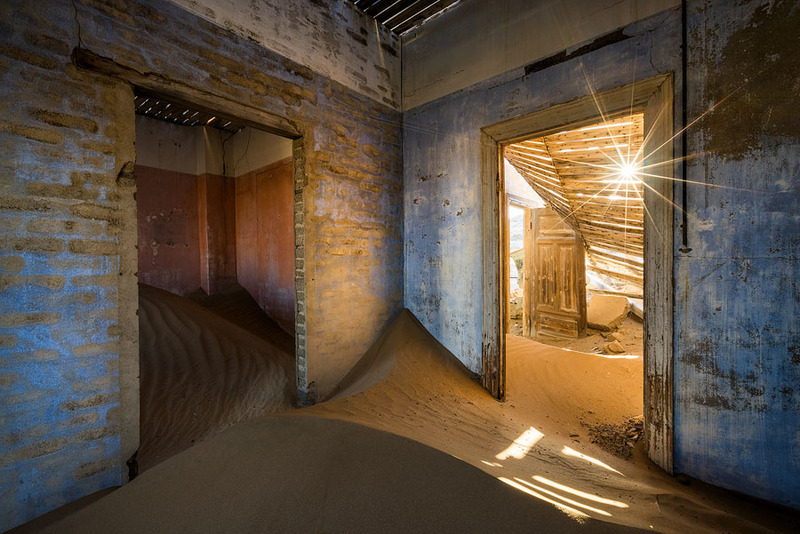 Once a thriving diamond-mining center, today the town of Kolmanskop is one of the main photographic attractions in Namibia. 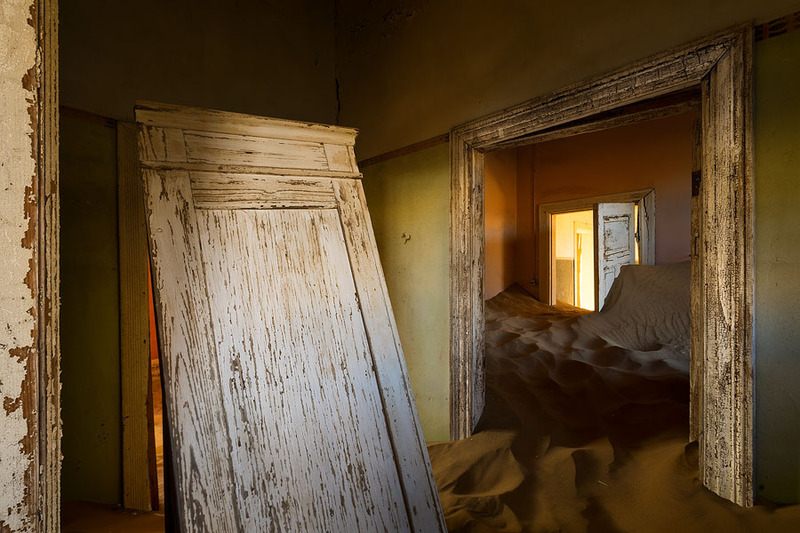 The Namib Desert has been reclaiming this ghost town since its abandonment more than half a century ago, and witnessing the amazingly-preserved buildings getting swallowed by the sand dunes is an unforgettable experience. 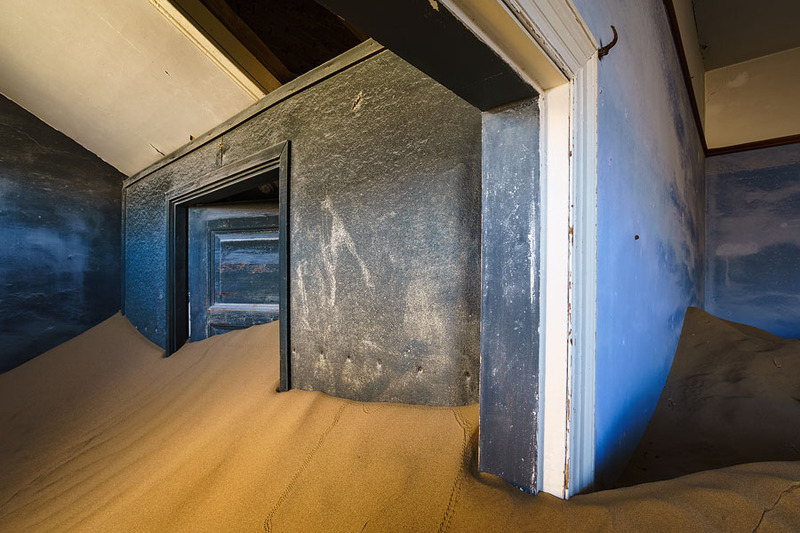 I visited Kolmanskop in 2014, while scouting for my Namibia workshop, and I was completely stunned by the photographic potential of the place. In this article I wish to share my experience and images with you. In 1908, a worker by the name of Zacharias Lewala found a shiny stone while working and showed it to his supervisor. The stone was a diamond. Driven by the promise of enormous potential gain, miners rushed to the area, and their wealth sparked a building spree. 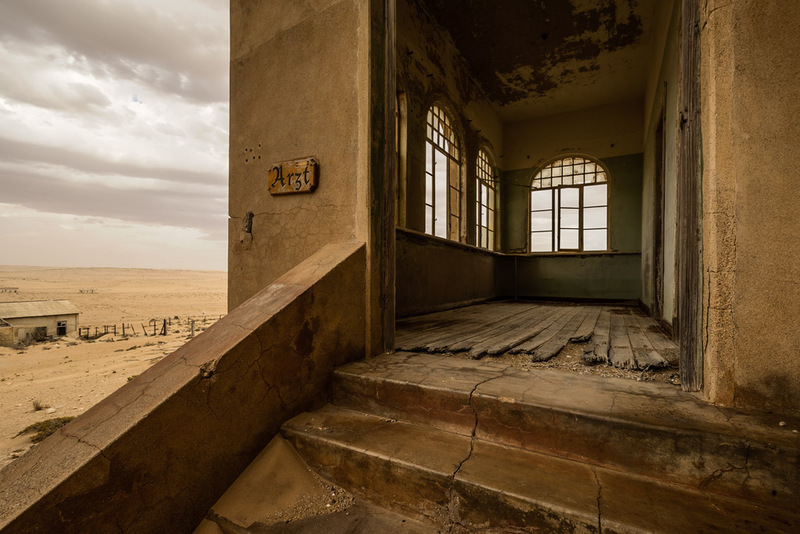 Most of the early miners were German and built Kolmanskop in the style of a German town. Among large, extravagant villas it is also possible to find a hospital, a ballroom, a power station and even the first X-ray station in the southern hemisphere! At its peak the town housed nearly 1,200 residents from some 700 families. 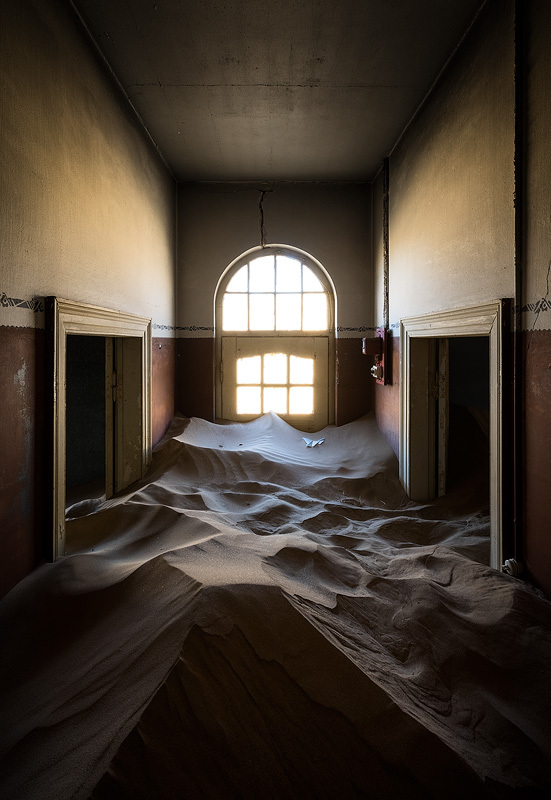 Since then, the Namib Desert has been reclaiming the town, and today the buildings, preserved thanks to the dry climate, are home to sand dunes, beetles and other wildlife. 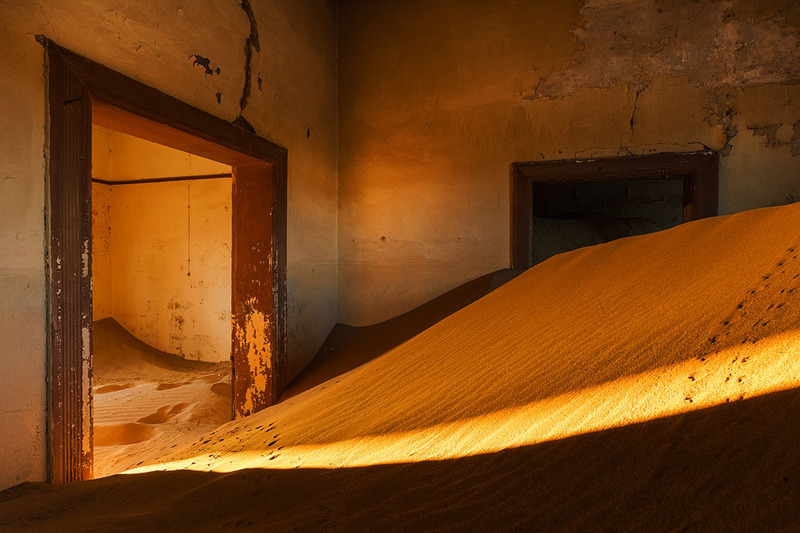 In the last decades, Kolmanskop has become an important photographic destination to those visiting Namibia. 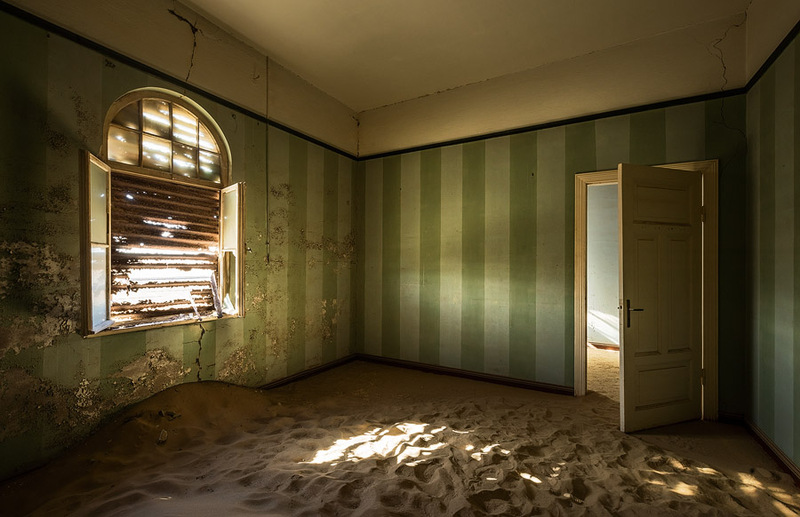 There's something extremely attractive about the colorful rooms, once home to rich miners, now decaying and filling with sand. The photographic potential of the town is simply huge. 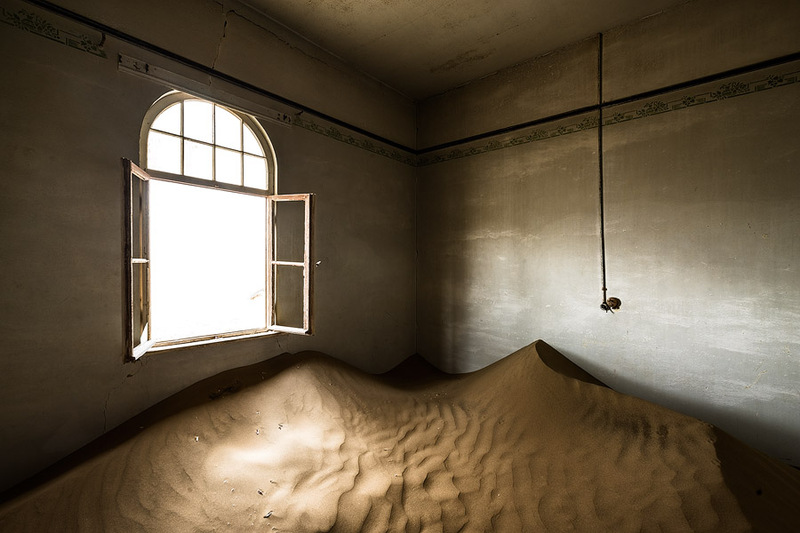 With most windows and doors blown away by the winds, one can make interesting use of any kind of light. The moving sun creates all shapes and forms and interacts with the sand in beautiful ways. Once soft morning light penetrates a room, it shines and accentuates colors and patterns. Even though it's been photographed a lot, there's always something special to be found. Just be aware that you might need to crawl on your hands and knees to get to a less-accessed room or corridor! 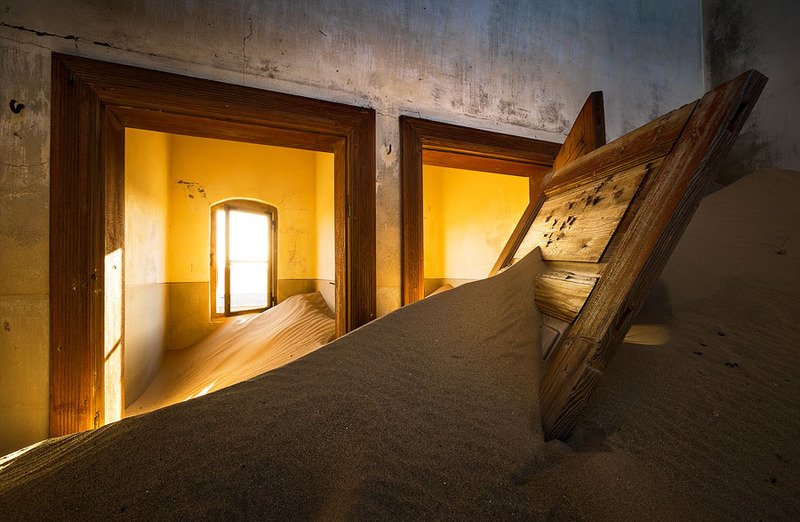 One of the best things about shooting in Kolmanskop is that there's no need to restrict yourself to soft morning or afternoon light. 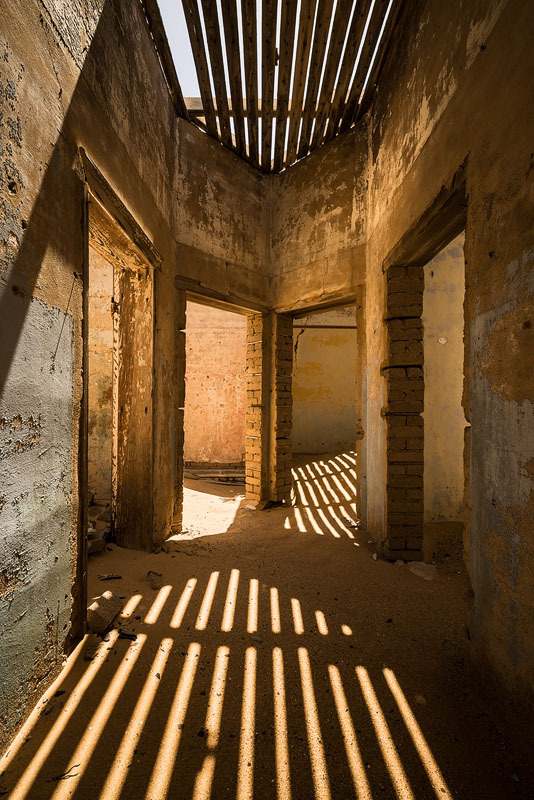 Harsh, midday light penetrates the latticed roof of some of the buildings, creating kaleidoscopic patterns that interact beautifully with the hauntingly-symmetrical architecture. The differently-colored rooms interact with the doors, windows and furniture. Add the sand dunes and light, and you can get surreal imagery.